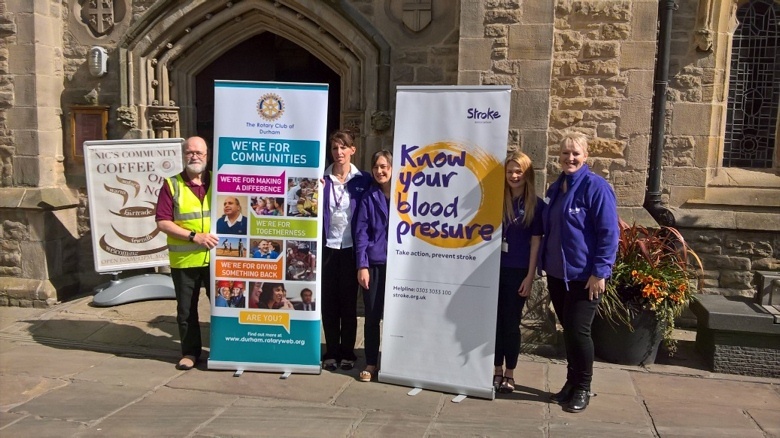 We worked with members of the Stroke Association at St. Nicholas Church in Durham Market Place, inviting members of the public to have their blood pressure checked. 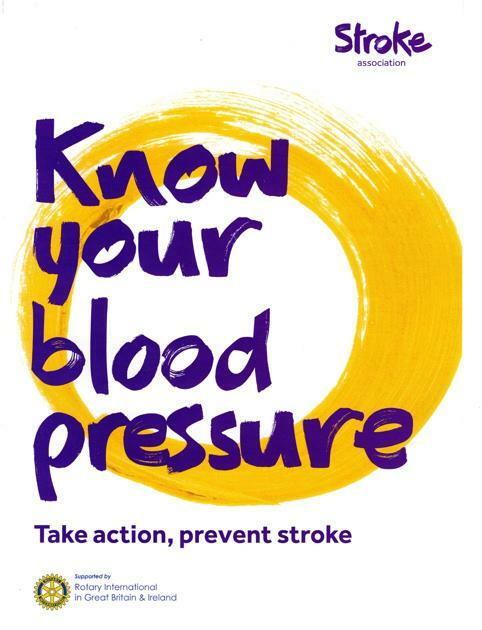 Donna Stott from the Stroke Association noted that "for us this was the best event so far in terms of the amount of blood pressures we took on the day". In fact, we checked the blood pressure of a total of 167 people. 45 people were advised to see their GP within one month and 11 people were strongly recommended to see their GP within one week. That's a lot of people helped ! All part of the process of taking acton to prevent strokes! Community Service Chairman Martin Leake with Stroke Association volunteers.